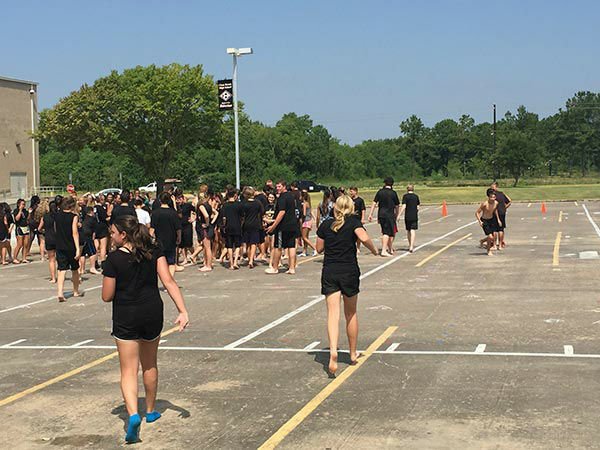 FRIENDSWOOD, TX -- Before the Friday Night Lights, there's plenty of practice under the hot summer sun, as students give up part of their summer break for hard work in advance of the school year. 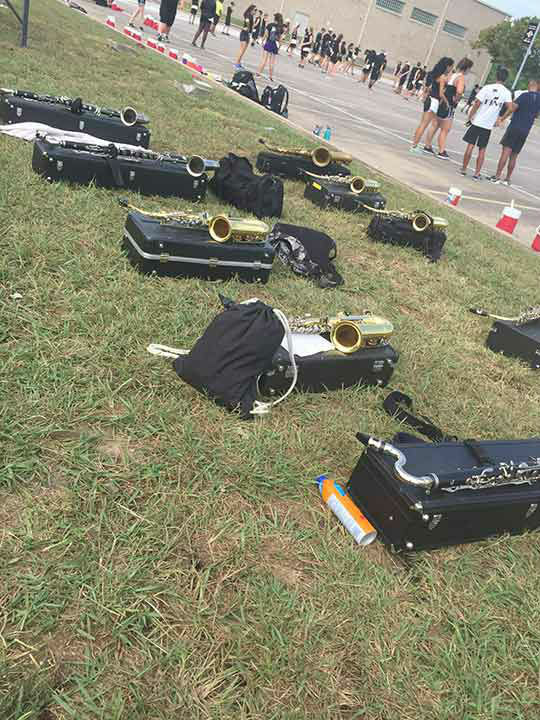 But practice isn't just for the football team. 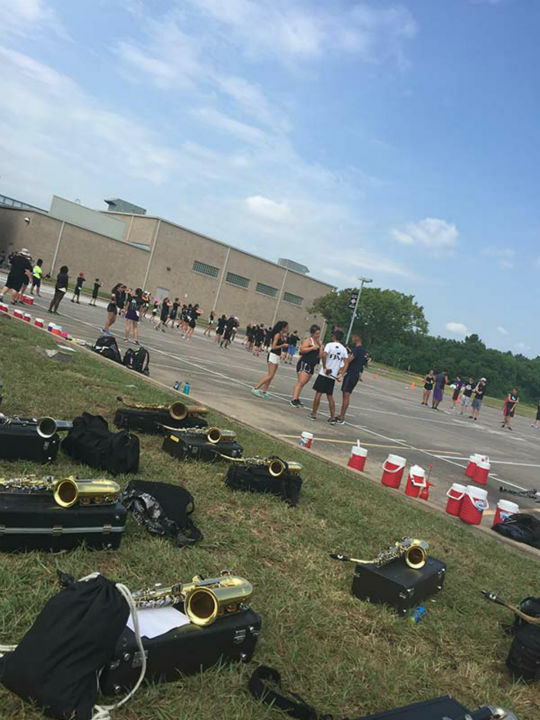 The marching band has to polish their performance as well. 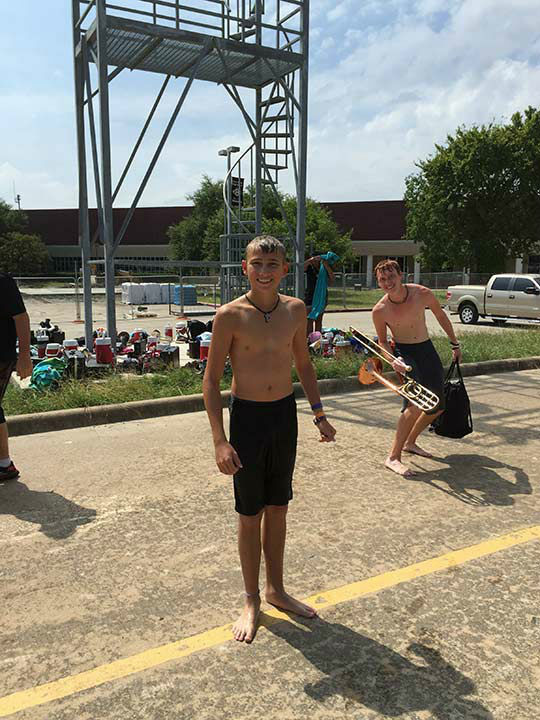 Summer rehearsals in Houston in August are never described as cool and comfortable, but with the recent heat wave, the last two weeks have been especially difficult. 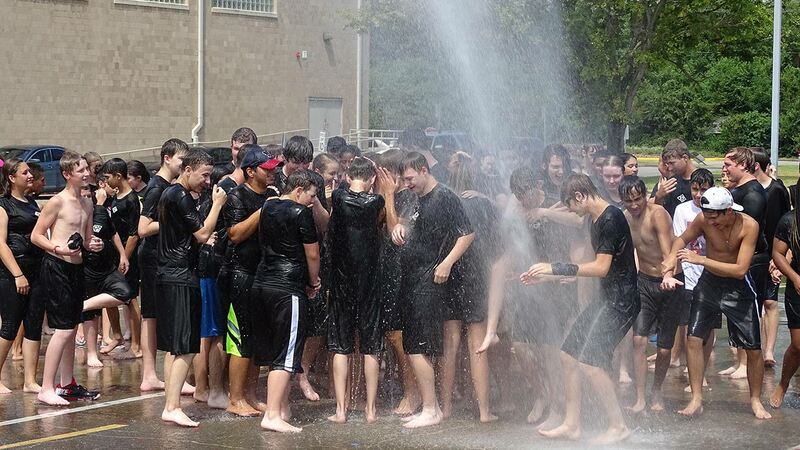 So when the time comes to cool off, at least local band has a time-honored tradition. 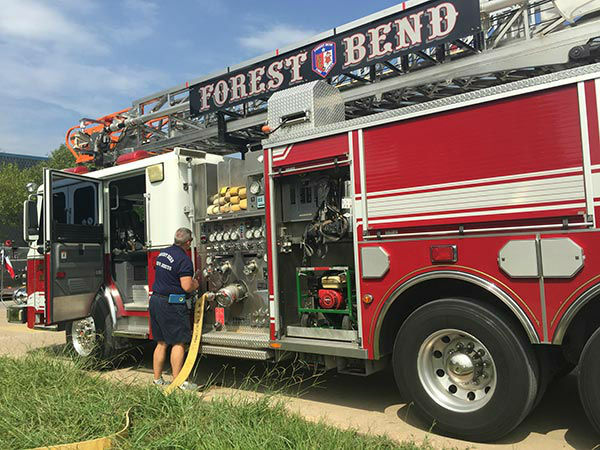 They turn to the Forest Bend Fire Department of Heritage Park. 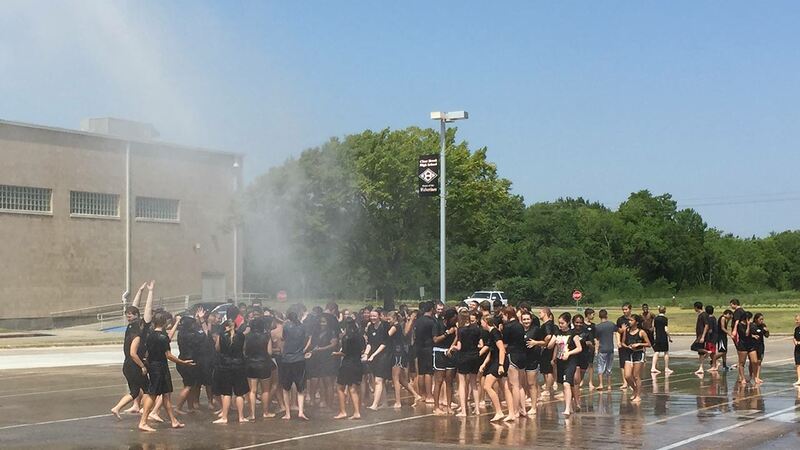 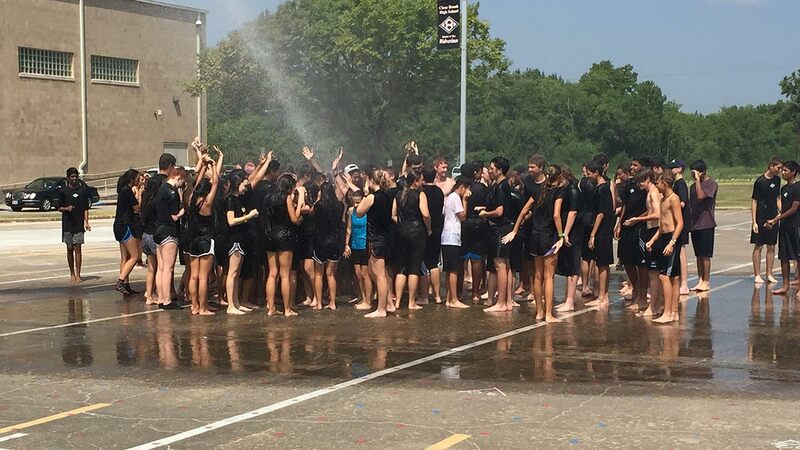 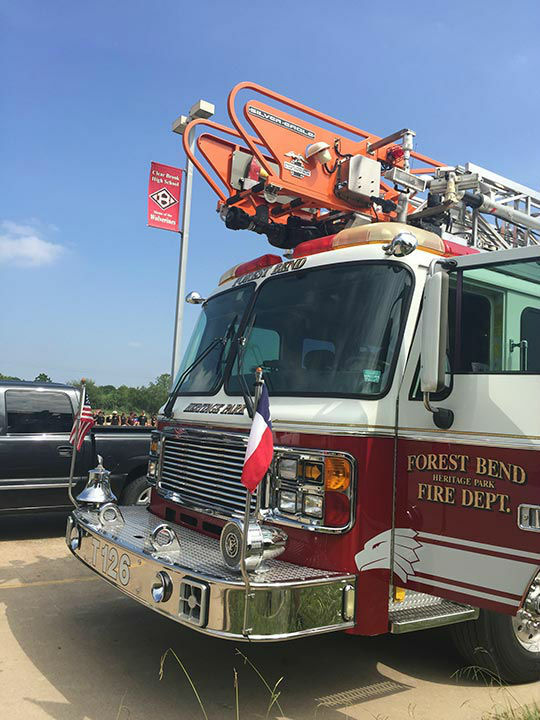 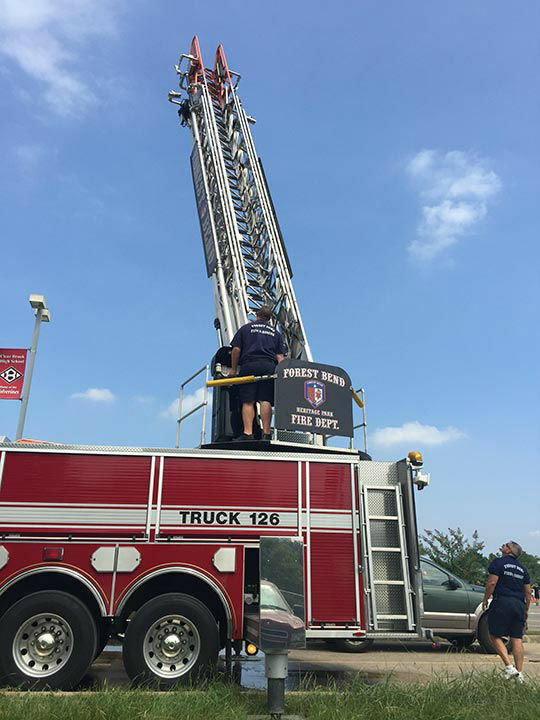 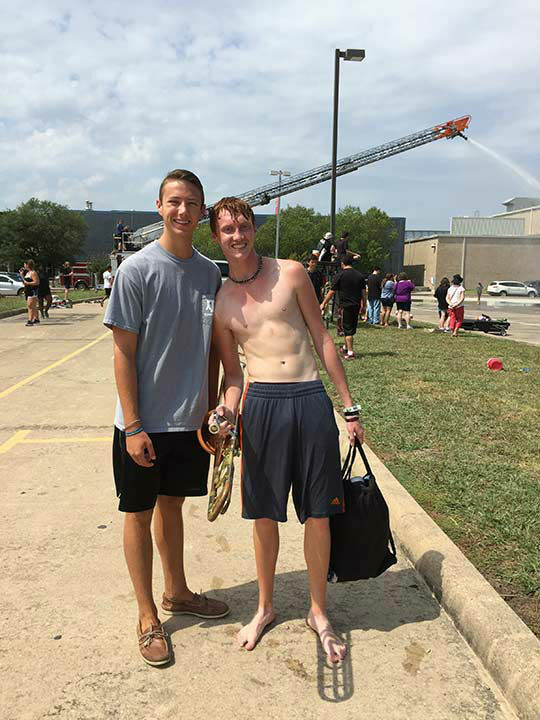 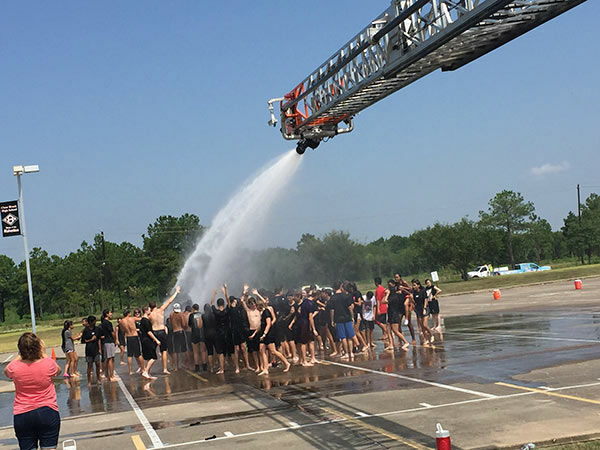 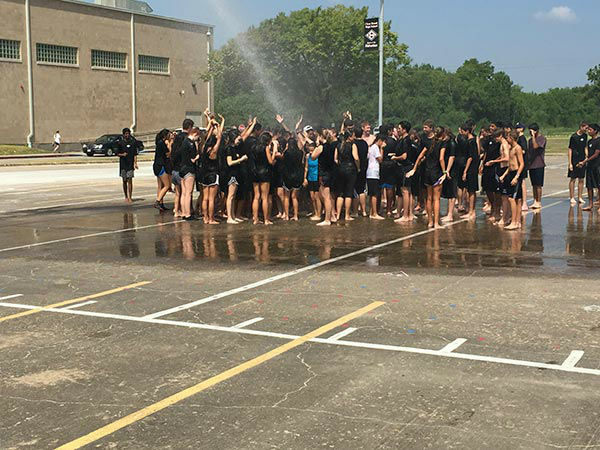 Each year, the Clear Brook High School marching band celebrates their hard work at summer practices with a group shower of sorts, as the students are hosed down by the firefighters.